God has chosen you for a sacred calling. God has entrusted you to carry and nurture a particular soul, exquisitely unique and immeasurably important. Our Father in heaven has handpicked you to mother this exact child, the one who began as a single cell and who by birth will contain trillions of cells, the one whose very odds of existence boggle the mind, and the one who will be so strangely like you and yet so strangely different. Nine months: it may not seem like very long, but God is gracing you with nine months to consciously prepare your heart, your mind, and your spirit. (And you thought you just needed to pick a name and some baby clothes!) He knows you will never be fully prepared for this high and holy calling—if you were you would have no need to depend on Him. But He also knows that there are words He longs to whisper to your heart, truths He longs to open your eyes to see, and grace He beckons your spirit to take hold of as you begin this sacred journey. The God who made you and who is forming this fearfully-and-wonderfully-made creation inside you longs to walk with you as you prepare for this miracle you will be holding in your arms in just nine short months. He wants to share in what you’re feeling, whether you’re giddy with excitement, reeling from shock, plagued with anxious thoughts or whether your emotions go from one extreme to another in a matter of moments. He wants to open up truths from His Word that will comfort you and challenge you to become even more of the woman—the mother—He designed you to be. And He wants to awaken you to the wonder of this miraculous creation He is even now forming within you. 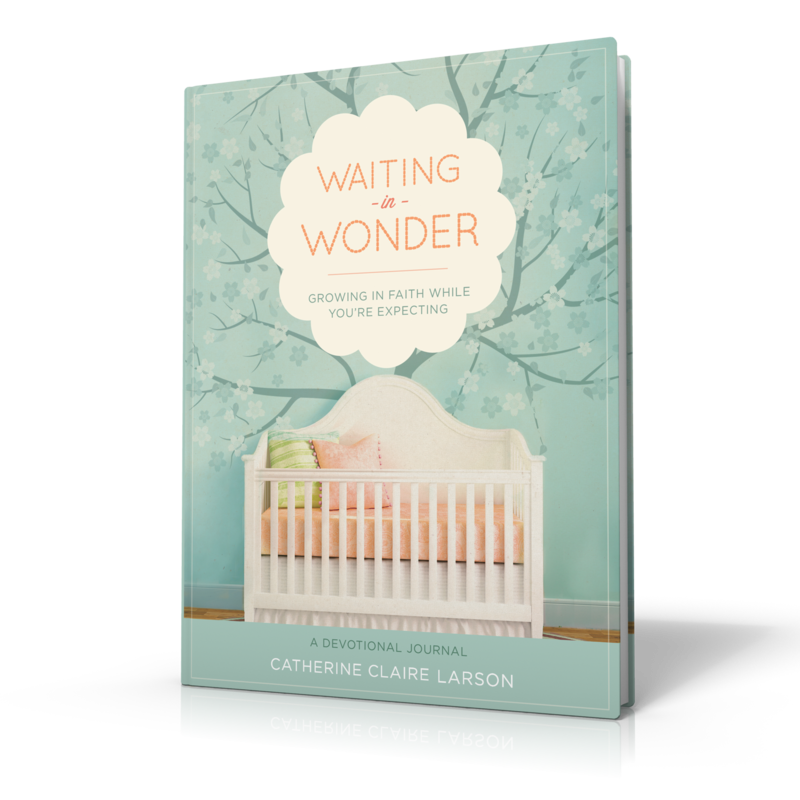 In this beautiful journal, Waiting in Wonder, each day, you will find a devotional reading and Scripture passage designed just for you and for this special season of your life. You will also find helpful prompts which lead you to record your emotions, those significant milestones like finding out you were pregnant, sharing the news, or feeling the first flutters of life, as well as prayers, and love notes to your baby. What a precious gift to be able to give to your son or daughter one day—the gift of knowing you and the love you had for him or her even before you cradled life in your arms. This season of your life goes by so quickly. You may think that with all you have to do—from finding the best doctor, to choosing the right stroller, to picking the perfect name, to painting the nursery—that you simply don’t have time for anything else. But don’t neglect the most important thing you can do for yourself and your child, strengthening your relationship with God today. 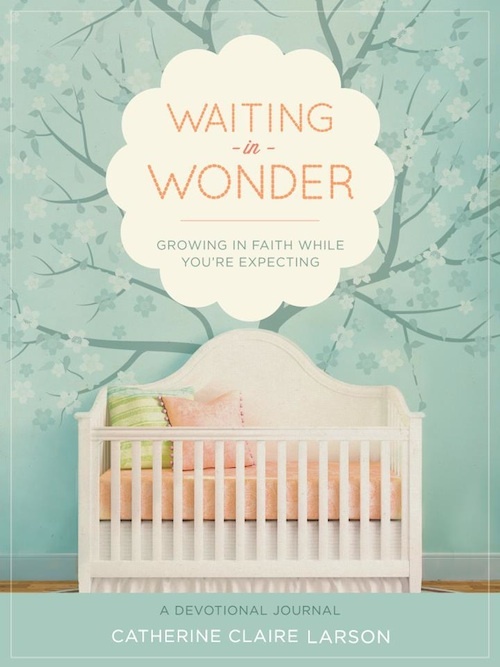 Ten years from now, you may not remember the brand of stroller you had, and your son or daughter will not remember the nursery’s color, but both of you will be forever shaped by the way you walked with God and the way you embraced and prepared for the calling of motherhood. And your child will also have a lasting reminder of your love for God and for him or her in the very pages of this journal. You are an exquisite creation, made by the living God, handpicked for one of His most important callings. Embrace this season of waiting in life, by entering deeper into the wonder of who God is, the miracle He’s forming within you, and the dignity and importance of the work He has laid before you.